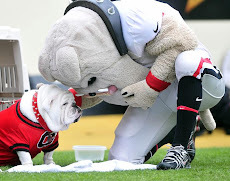 With all the prognostications already in, my last thoughts regarding the Bulldogs and the Gamecocks go like this. 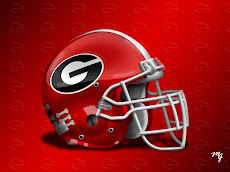 If Ben Jones and the offensive line of Georgia perform as a veteran group up front should, then the Dawgs will win today in Columbia. The absence of receiver A.J. Green won't even be a factor. 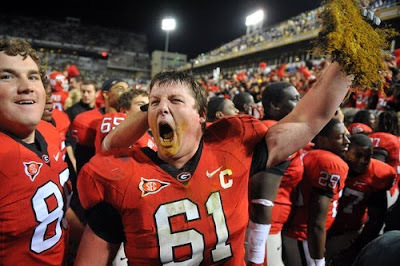 The guys in the trenches must take the pressure off of quarterback Aaron Murray and allow him to settle down in his first hostile environment on the road. These guys in the interior line must allow Caleb King, Washaun Ealey, and Carlton Thomas to run successfully, if not run wild. To dominate the line of scrimmage is almost always a prerequisite to winning an evenly matched football game, today it is imperative. I believe the Dawg Nation will be pleased once again with the aggressiveness and discipline of Todd Grantham's defensive eleven. There again, the guys up front are key in pressuring Carolina's quarterbacks, thus increasing the likelihood for turnovers in the secondary. We win the kicking game, no question, as long as we cover our kickoffs successfully. As a footnote, I sure hope we kick off a lot. We possess the best punter and place-kicker in the nation. Period. The last thought concerns depth. It's already hot as heck in central Georgia about 2 1/2 hours for Columbia, so I know its very hot and humid there as well. Both benches will have to step up today. It's a question of whose bench goes the deepest. Those are my keys to victory, along with this last parting shot. 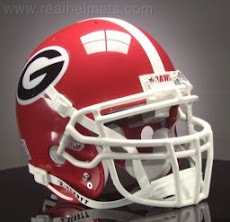 If Willie Martinez was still the defensive coordinator at UGA, I would not like our chances. However, with the new guy dressed in black that we have, we win on the road today.